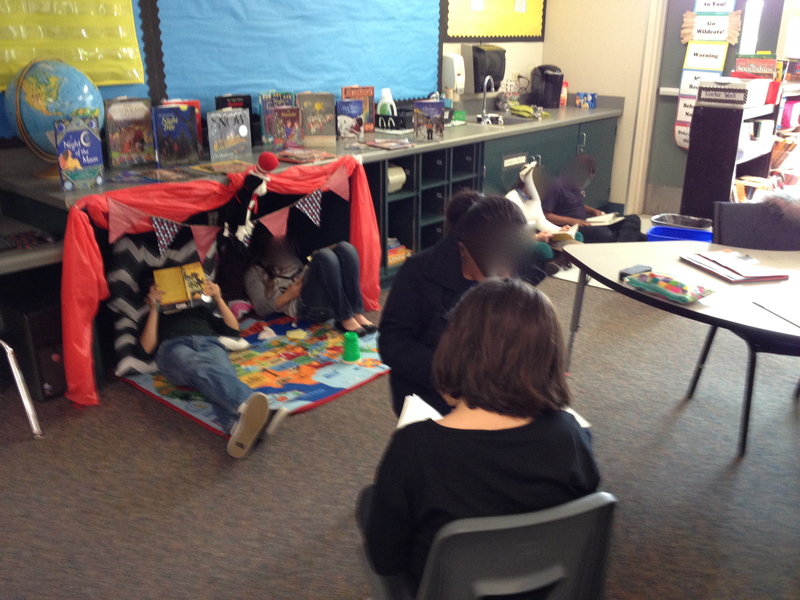 Can Silent Reading Be Meaningful for Students? 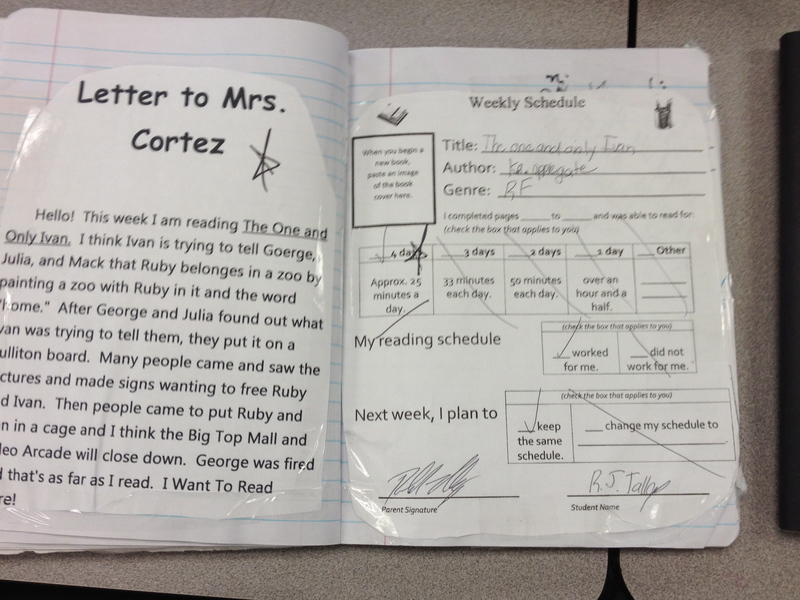 We’ve heard it all in regards to programs like D.E.A.R., SSR, Independent Reading Time, etc. The question still remains, is there a place for students to read independently, a book of their choice, every day during class? And the answer is, indubitably, yes. From the works of Pam Allyn of LitWorld, Ernest Morrell, Donalyn Miller, Penny Kittle, Richard Allington, not to mention the whisperings of my own soul, the research behind this practice is conclusive. According to the article by Richard Allington referenced in my last post, students must read something they choose every single day. This is fundamental in any quality classroom literacy program. Period. 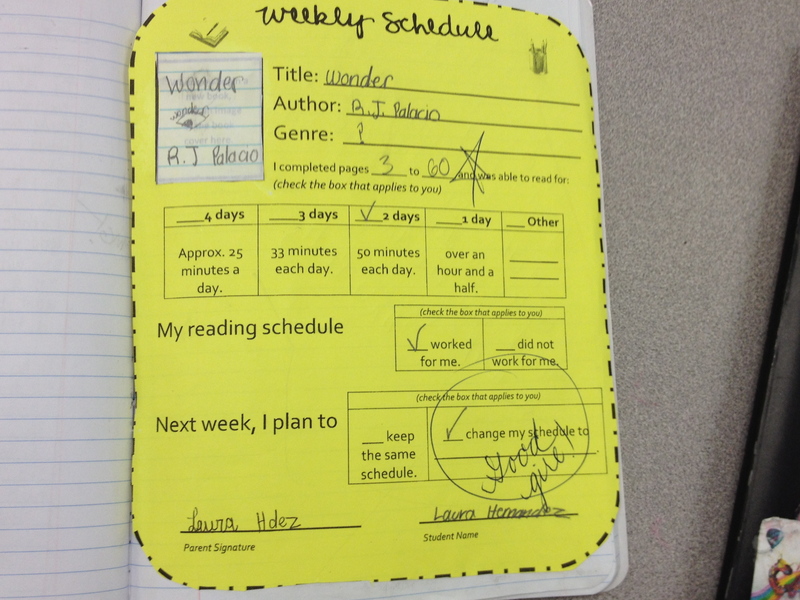 I will share what finally worked for me in achieving my dream of a meaningful independent reading time that occurred every single day. Here’s the shortlist. Write it in your planbook. Decide what YOU, the teacher, will be doing during this time. Then, DO IT. Walked the room with my class sheet, conferencing with students, recording anecdotal data. My routine was based off of “Rick’s Reading Workshop”. 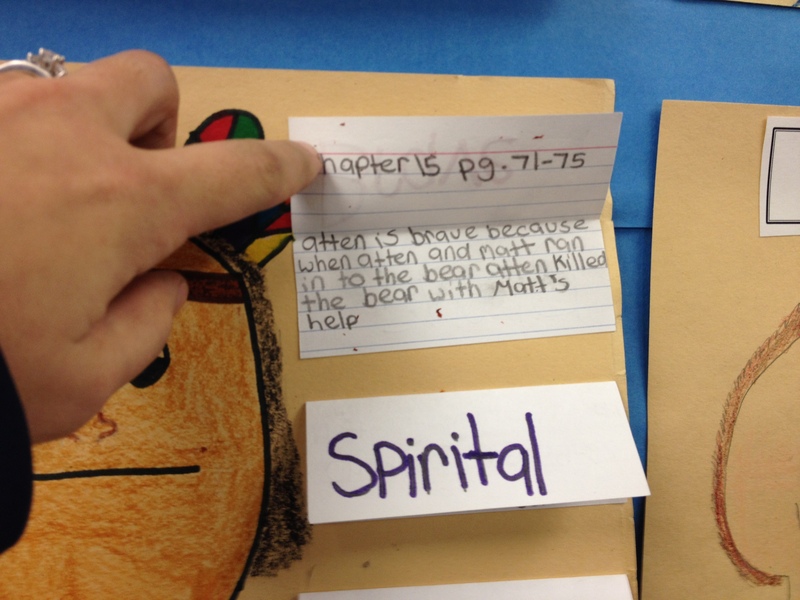 Implementing this routine was one of the most powerful things I have ever done as a teacher. I found out more about these students in 15 minutes than I had in entire months. Don’t hesitate–just try it. Stick to it. The entire year. No matter how tempting it might be—do NOT abandon this routine. The beginning of the year is rough, as is implementing any routine with students, but it WILL pay off. There will always be something that can ‘pop’ up and masquerade itself as more important. So, yes, you will be enticed to throw it out for more math time, perhaps. Don’t. Nothing is more important. There you have it. 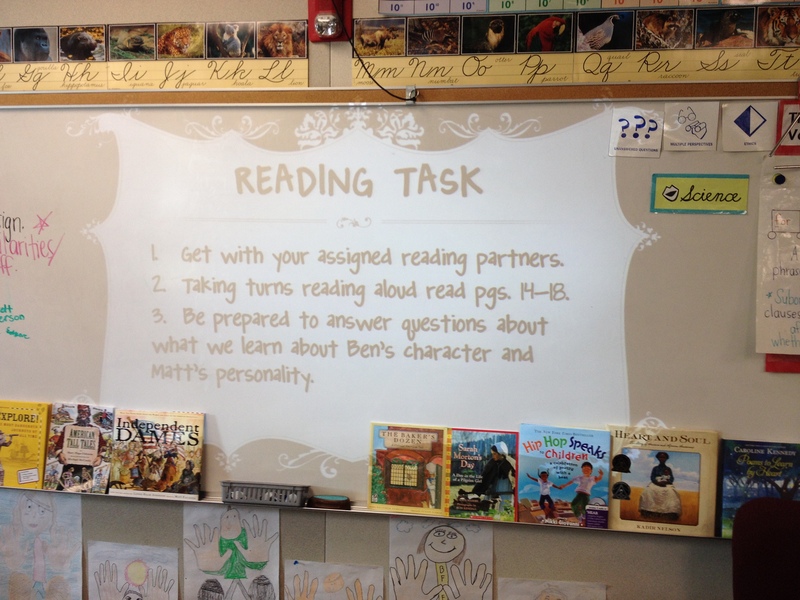 Please share the routines and resources you have used to give students more access and choice for reading. 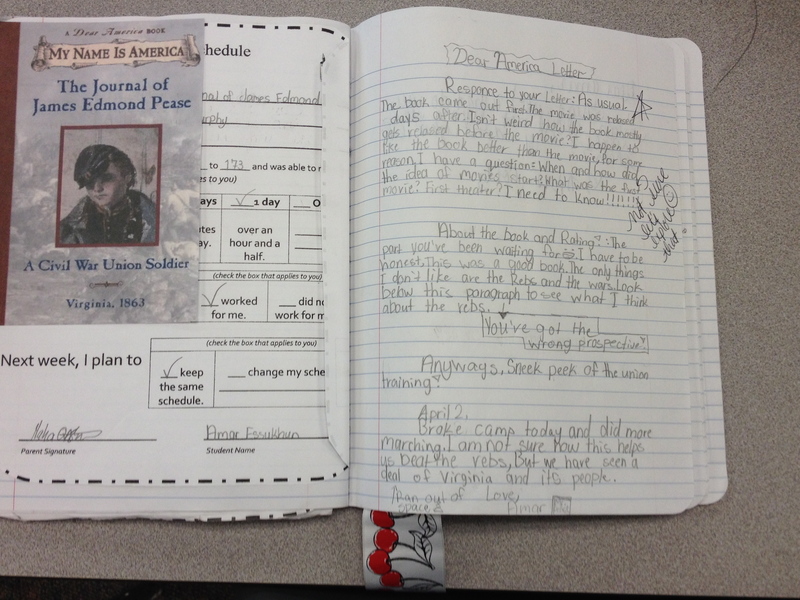 Rick’s notebook where he records all the student data collected during this time. Provides another option instead of data sheets. I like it. As some of you know, I am teaching summer school and working with teacher candidates, a.k.a. student teachers. I have had the pressure-I mean the privilege!- of sharing everything I can in regards to literacy in 5 weeks. Gulp. As if the stars were in alignment, I just happen to have finished Richard Allington and Rachael Gabriel’s phenomenal article, “Every Child, Every Day”. This article highlights the six elements of effective reading instruction that do not require much time or money. Please take the time to read the article linked above, but for this post’s sake, I’ll post the six elements of instruction that every child should experience every day. Every child reads something he or she chooses. Every child reads something he or she understands. 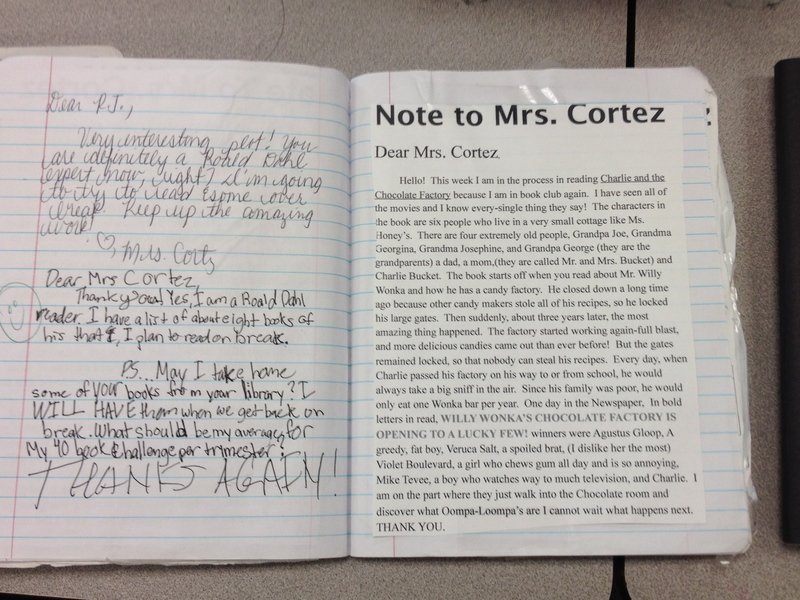 Every child writes about something personally meaningful. 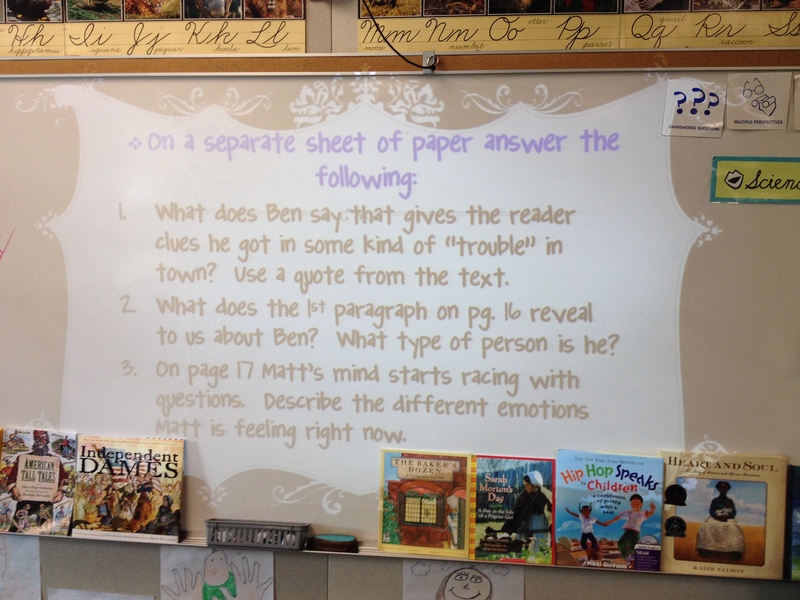 Every child talks with peers about reading and writing. Every child listens to a fluent adult read aloud. Let’s take some time to focus on element #1. 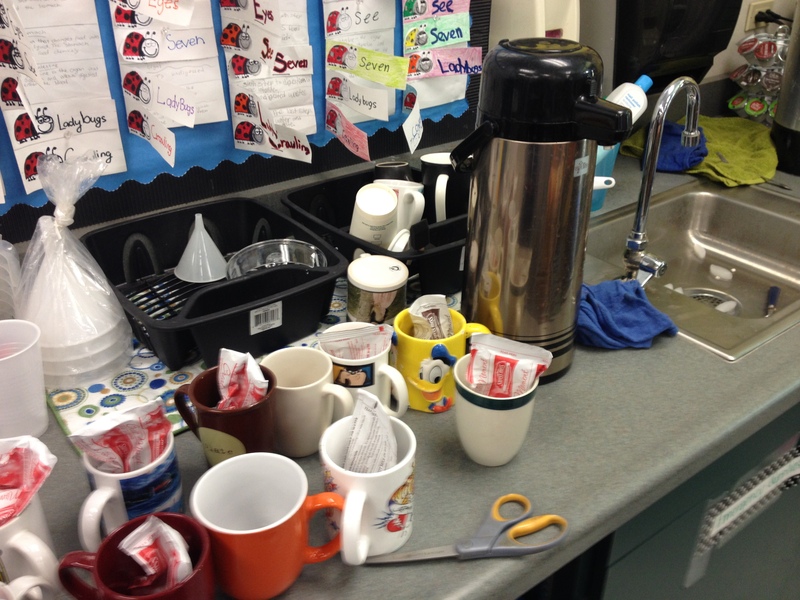 How can teachers consistently make this happen in their classroom? Is it possible? Is there time? The answer is yes. It can happen and it must happen. But we all know the realities of the classroom, and the struggle is real–assemblies, fire drills, sick days, students taking longer than expected on a unit, and the list goes on. I get it. So what might we do? In my next post I will share with you the strategy that finally worked for me. In my last years in the classroom, I was able to achieve a meaningful reading time every single day. After being in school for a month, the time has come. 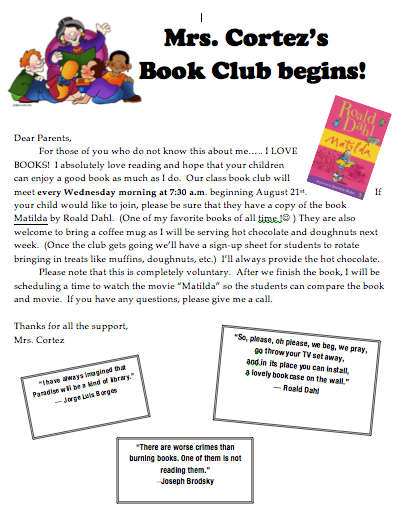 Mrs. Cortez’s Book Club will officially begin next week. 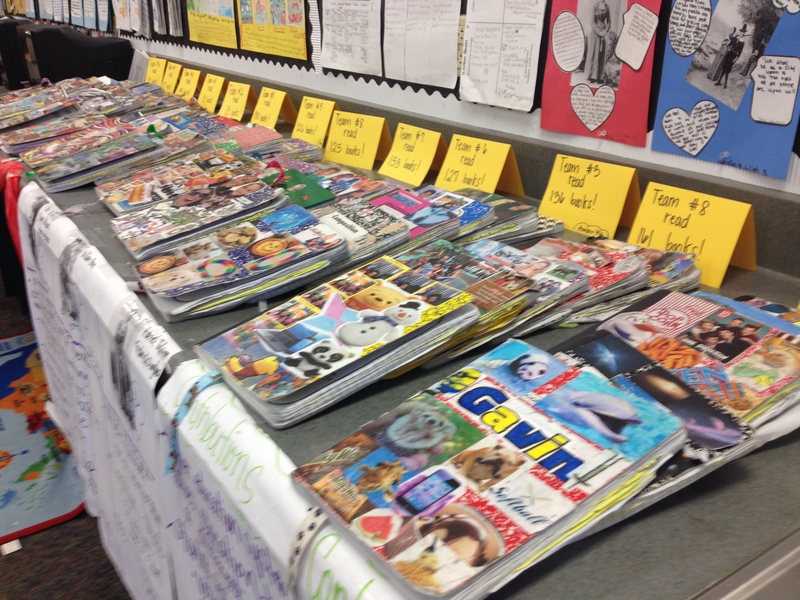 If you have ever thought of starting a book club with your students, just do it. Don’t hesitate. You will not be sorry. 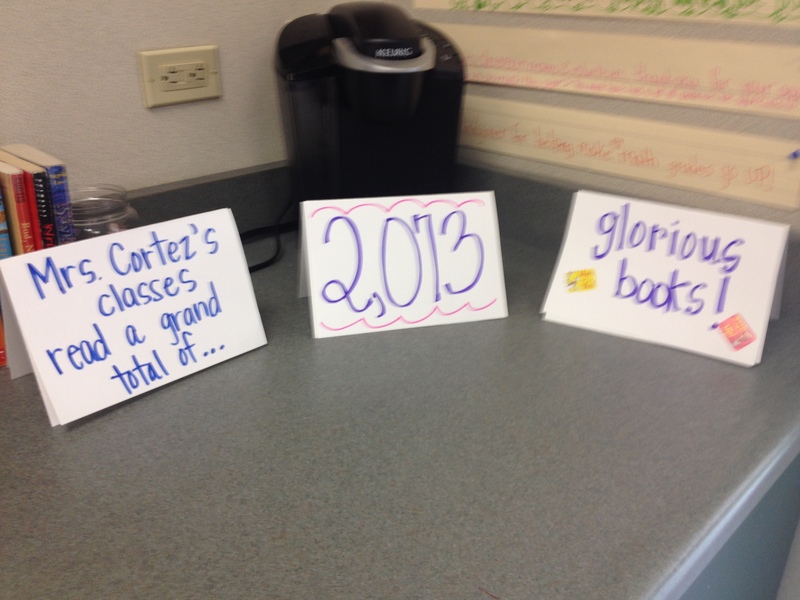 I have been running a book club for the past 5 years with my 5th graders. Now that I have two periods, it might get a little crazy, but that’s ok. The pay off is too rewarding. I have the kids meet once a week before school. I select the first book which in the past has been Matilda, but since 4th graders read it last year, I changed it to Firegirl (an amazing book). 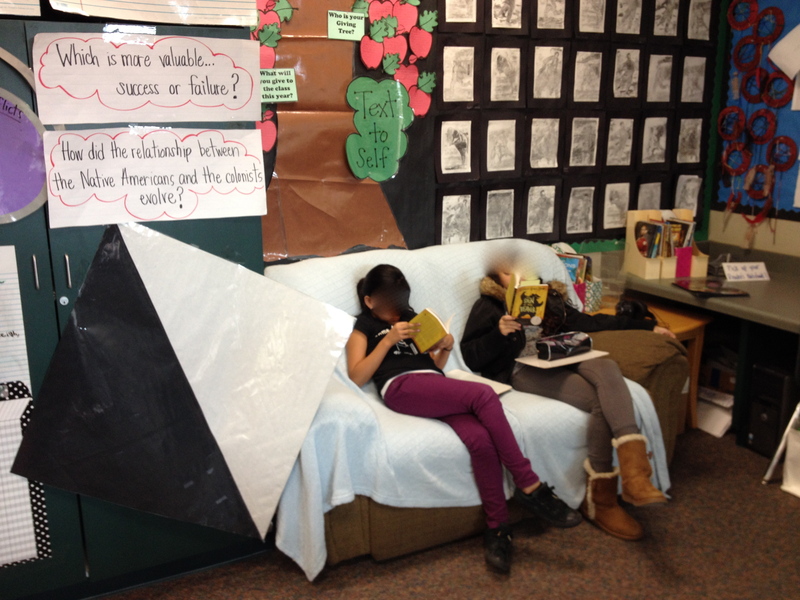 The students then nominate and vote on the rest of the books we read for the year. 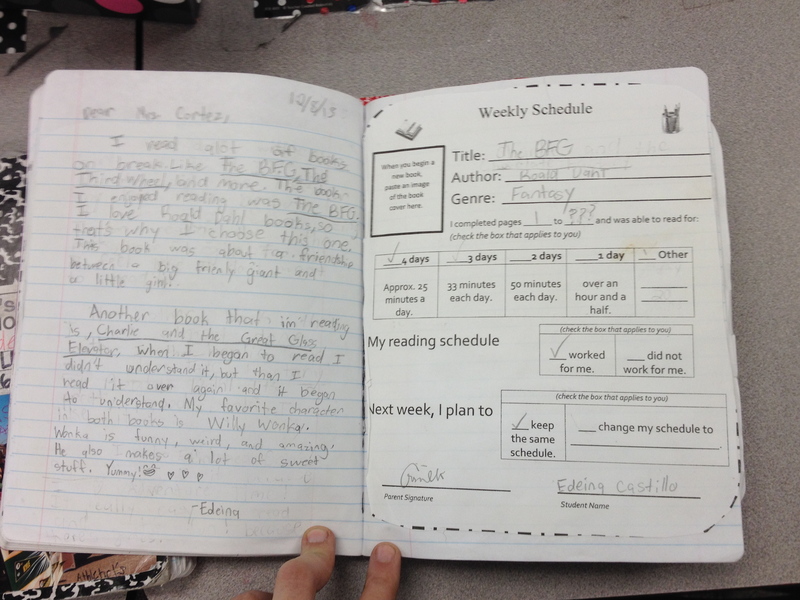 *If a movie is made of the book, we usually schedule a time after school to watch it and compare it with the book. 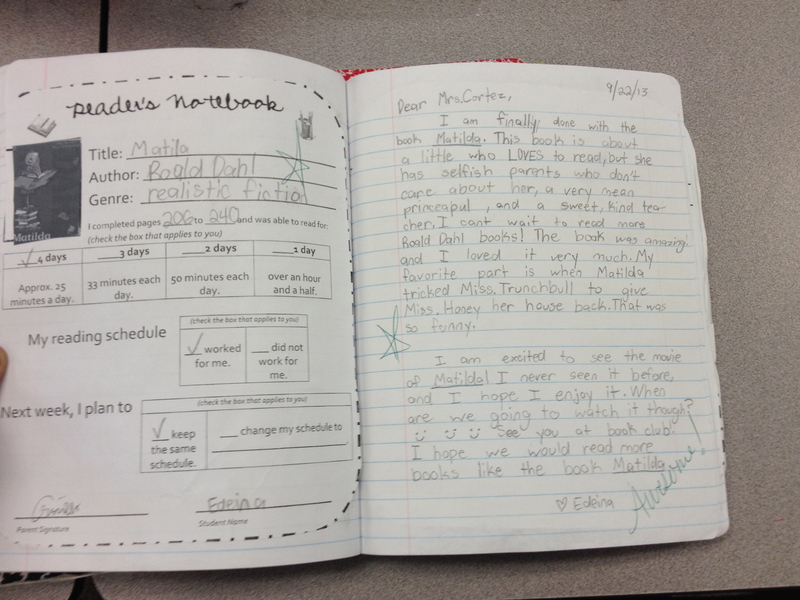 It’s awesome to hear the students say that the book is better than the movie, because that’s usually the case. Book Club Notice– Can’t wait for next week. 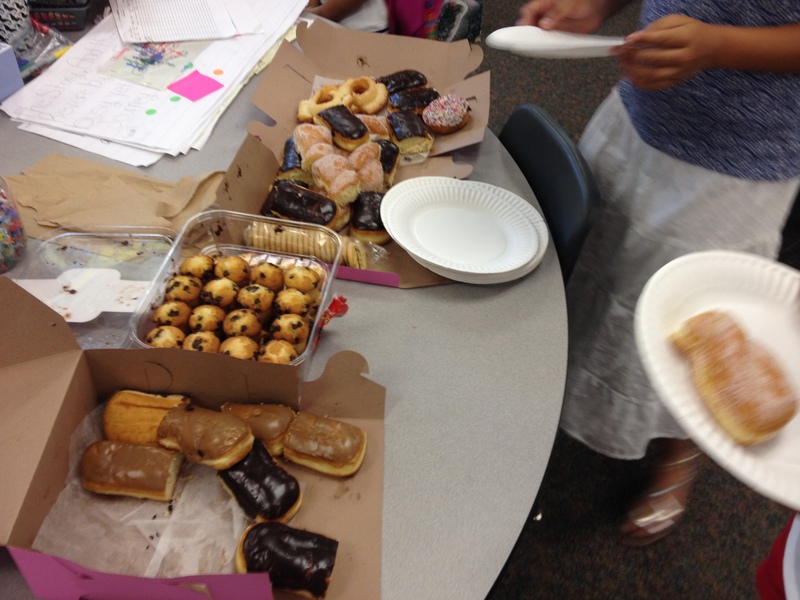 The students bring a mug for hot chocolate and we make a treat rotation schedule for doughnuts. I used to provide the hot chocolate, but that became too costly so now I ask the parents for donations. I pick up the slack when needed. And then…we just talk about the book. No assignments, no tests, no stress. Just a good book shared with good people. Amazing. Click below to see the letter I send home to parents. Hope it helps so you don’t have to start from scratch. Gotta love doughnuts with a good book! Grab your partner and READ! My first novel was The Sign of the Beaver. 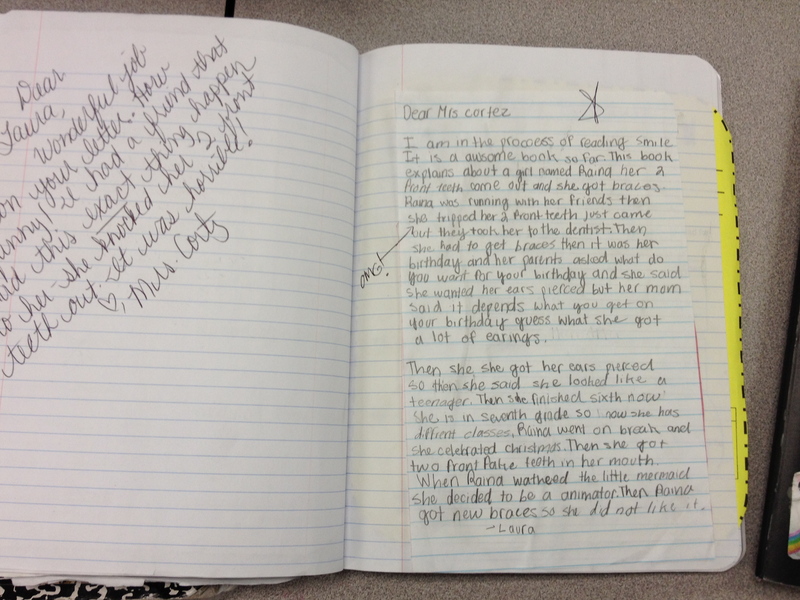 I was a little nervous about teaching a novel unit simply because I had never done it before. (I’m a little bit of an over-thinker. I don’t like to do things until I’ve fully researched the best ideas and figured out the most effective way to implement the lesson.) Then, a wonderful colleague of mine said, “Just do it–at least then you’ll figure out what worked and what doesn’t.” She was so right. The students absolutely LOVED this book and totally got into it. 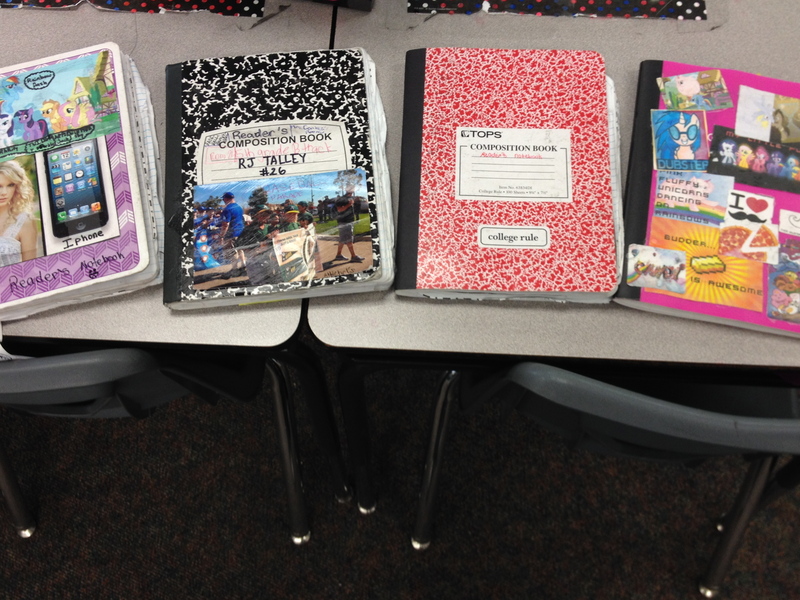 We did character analysis throughout the whole story: how the characters evolved, their triumphs, trials, feelings, etc. 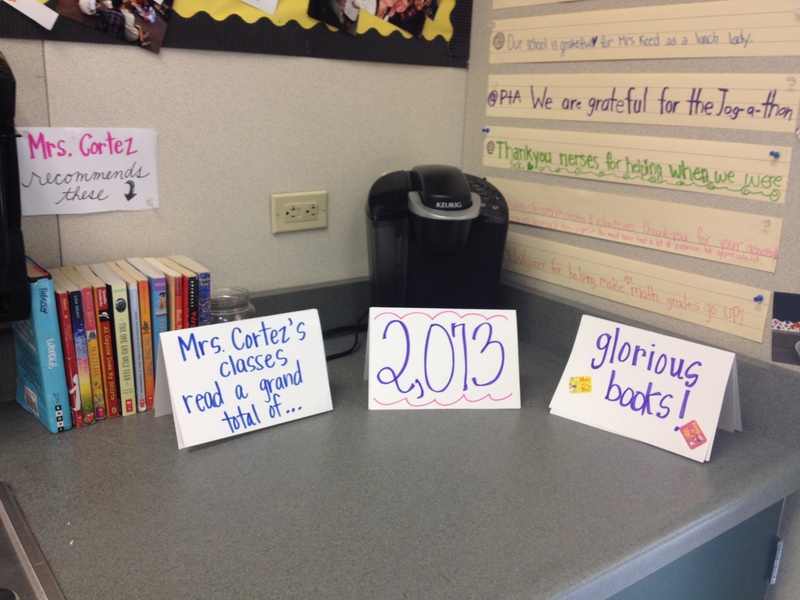 Even before I started the novel units, I always have read aloud to my students. 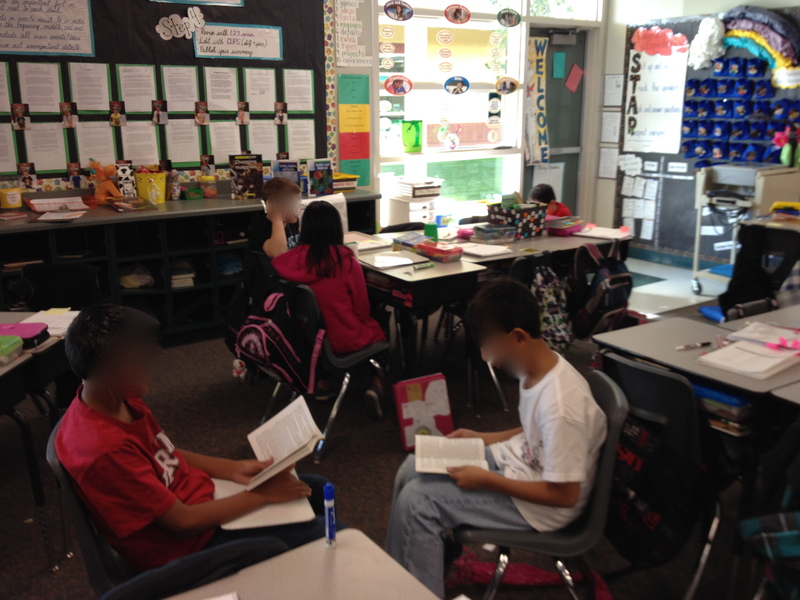 Each day after lunch the students are read to, a chapter at a time from a book of my choosing. I kept this routine, but just read aloud from The Sign of the Beaver. Some of the students just listened while many others liked to follow along in their own book. Reading Task for the day! 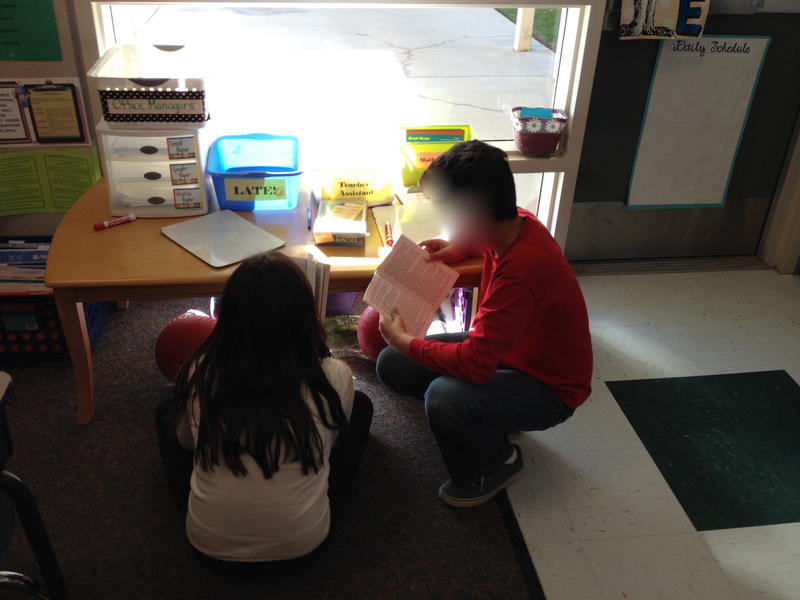 Reading with their partners. Working hard! Focused on their reading task! Reading on the couch is desired spot. In the beginning, it was a little rough. I suggest modeling–A LOT! 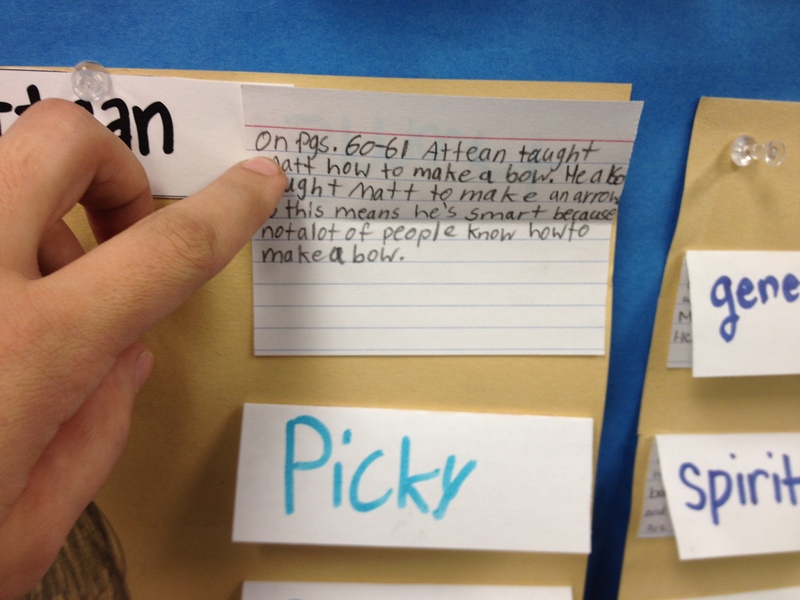 Students need multiple opportunities to practice articulating their thoughts in words and in writing. I set my expectations very high, and I’m glad I did. 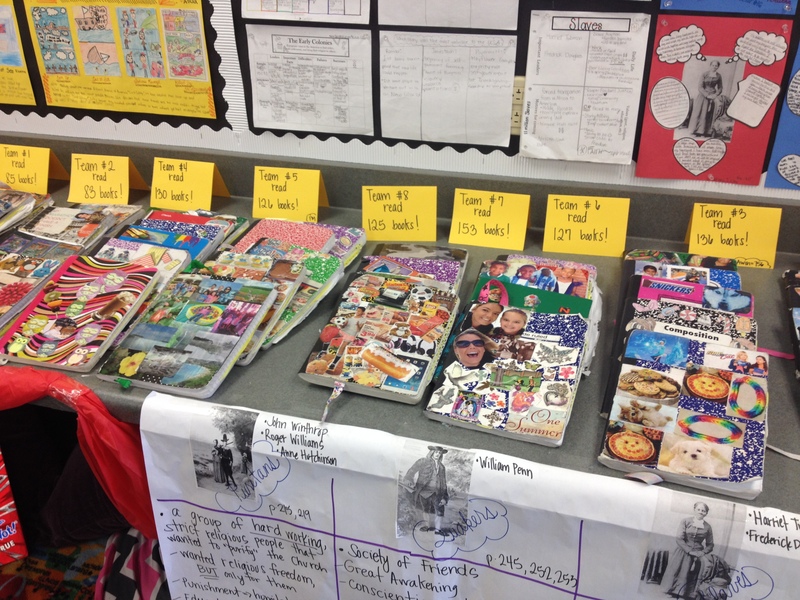 The work that the students are producing now shows miles of improvement since the beginning of the year. That type of growth makes me feel all warm and fuzzy inside. You see, I’ve always known these kids were brilliant. Now, they are able to show work and express ideas that will prove it to everyone. Amazing! Below is our final project. 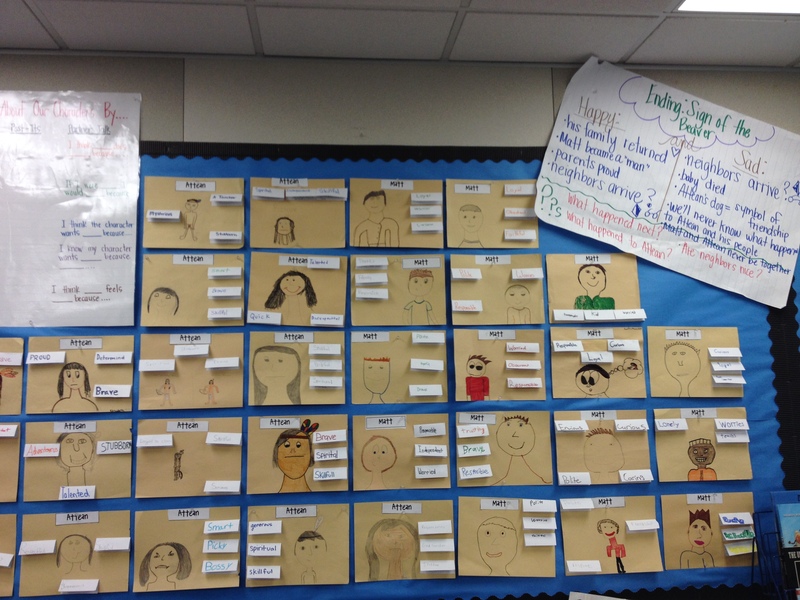 We were discussing character traits and trying to describe each character’s personality throughout the entire novel. 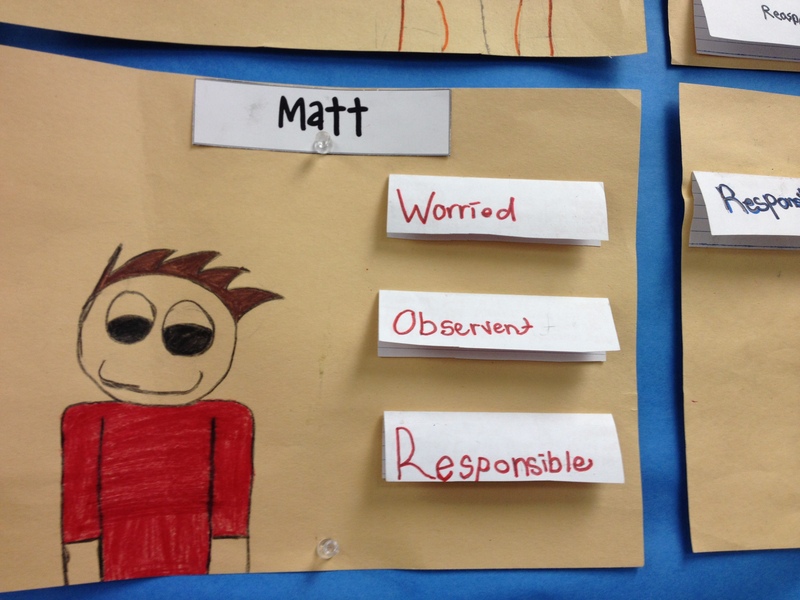 The students noticed as they learned more about each character, their thoughts about their personality changed. 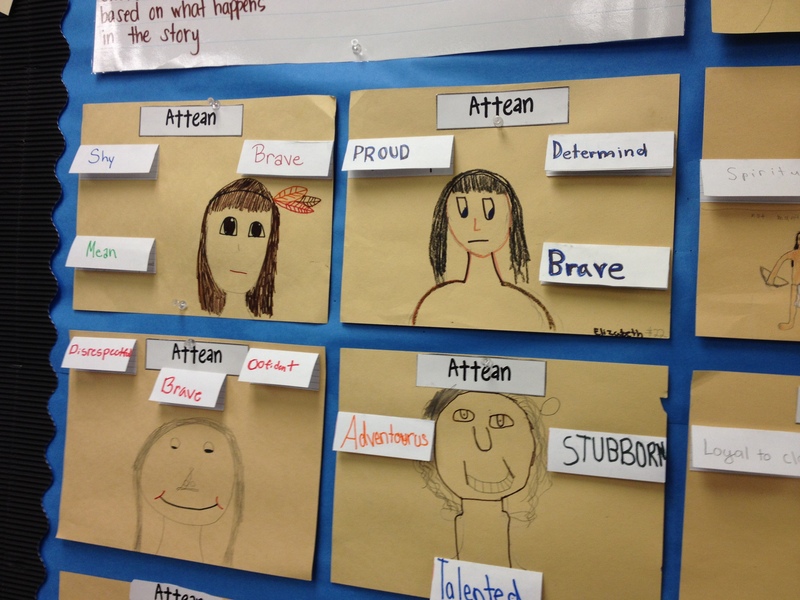 As a final assessment, I assigned the students a character from the story–Matt or Attean. They did not get to choose. 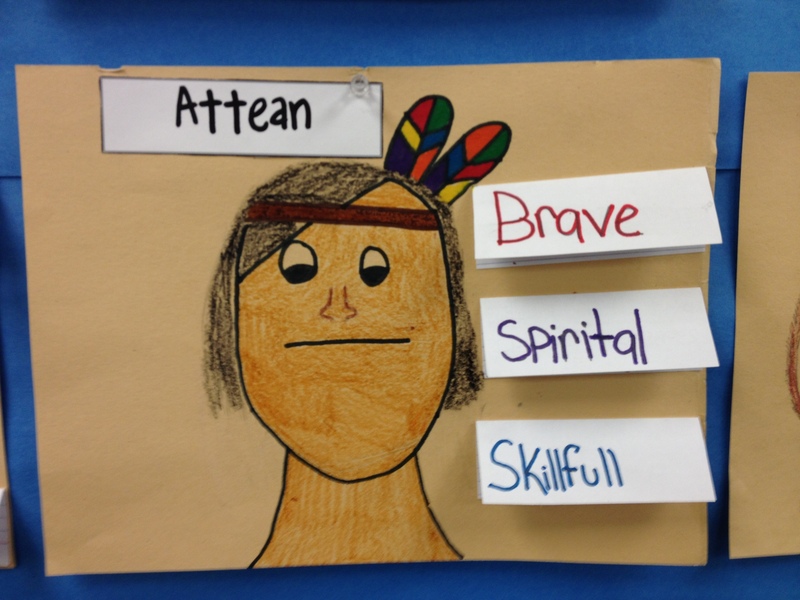 First, students had to choose 3 words to describe their character. 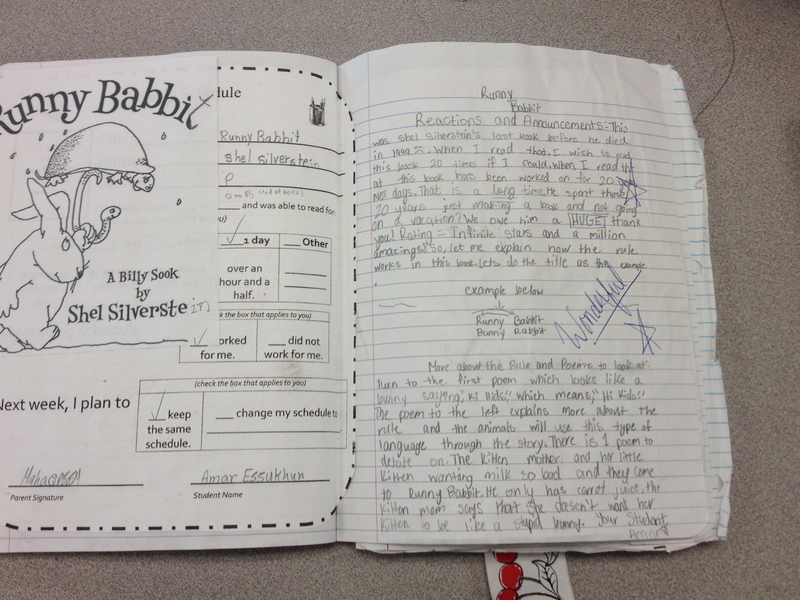 Once they choose the words, they had to go back in the text and write the evidence to support that claim. I wanted the students to choose the strongest examples from the text. 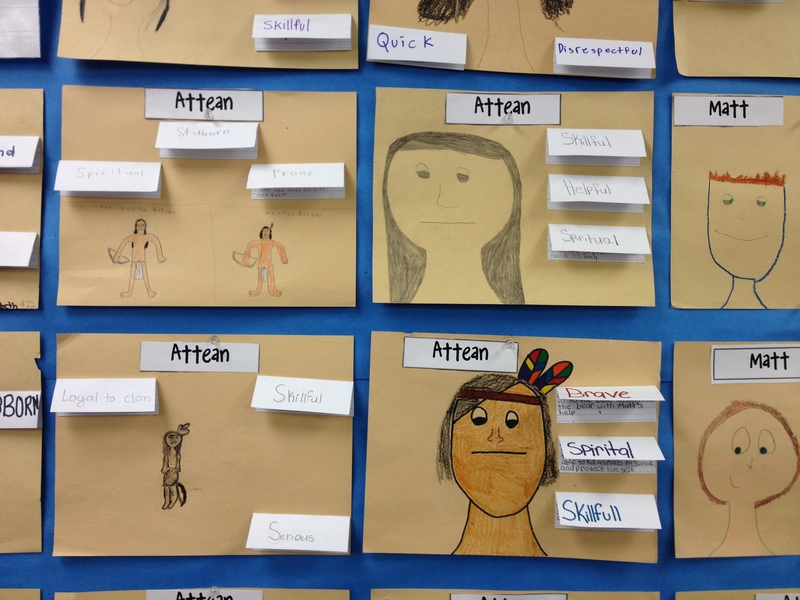 Next, the students had to draw their character based on the descriptions in the book. For example, it would be unacceptable to draw Attean with curly or blond hair because the author gives clear details about his appearance. The projects are awesome and are now hanging in our classroom! Students chose 3 words to describe character. 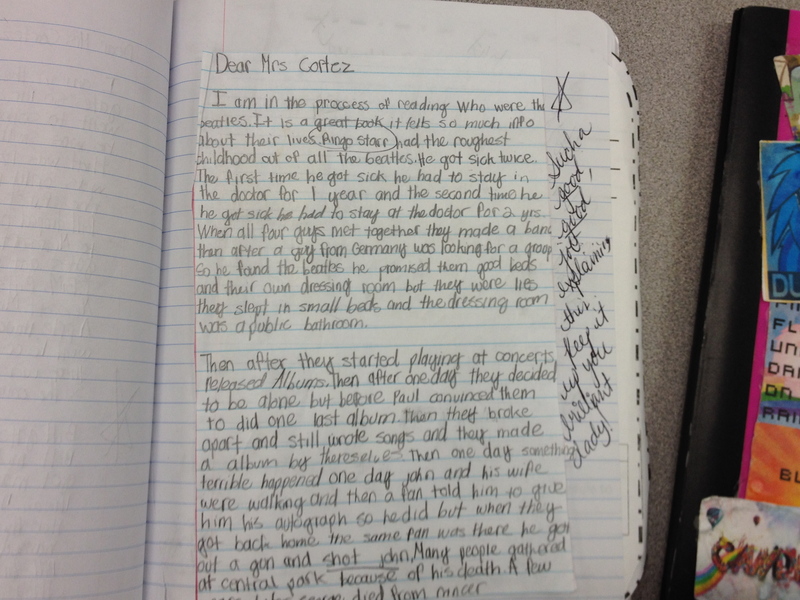 Then had to pull out textual evidence to support that claim–page numbers and all!